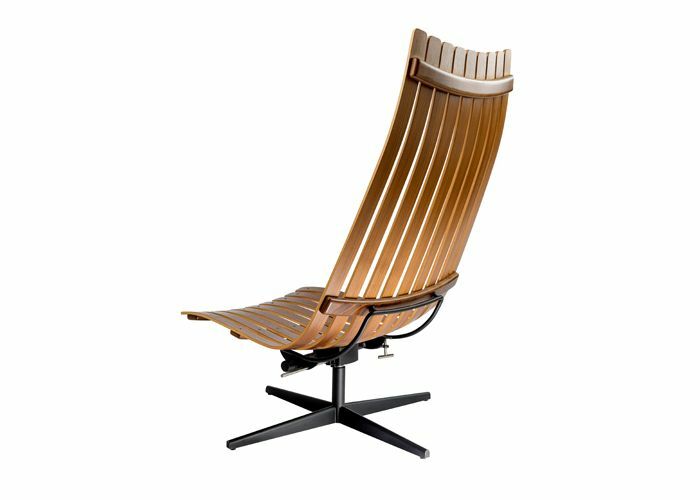 Hans Brattrud (born 1933) designed the Scandia stackable chair in 1957 as a student project at the National College of Art & Design in Oslo. 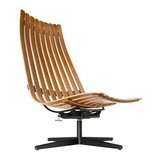 The chair was revolutionary both in shape and expression. 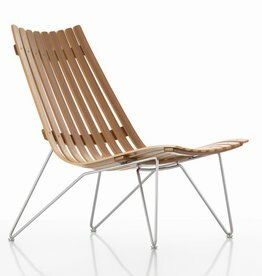 By using horizontal ribs, a twodimensional laminated shape was strung up and made three-dimensional. This was an ingenious construction that also made a unique and timeless design. 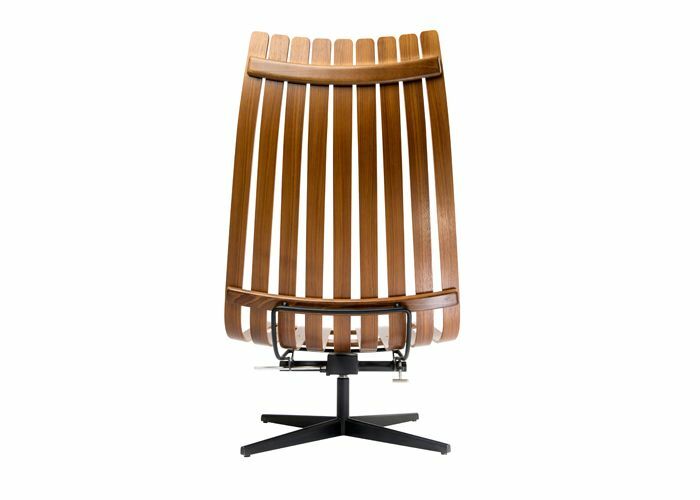 The Scandia chair range consists of a stackable chair, a lounge chair and an easy chair, all with belonging tables. 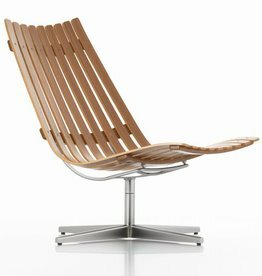 In 1960 the chairs were manufactured and additional models developed. 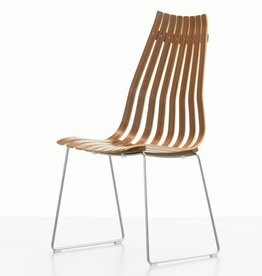 The Scandia chair range won immediately recognition and became an obvious eye-catcher at several exhibitions and fairs. 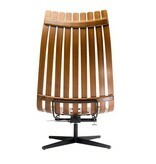 In 1967 the Scandia stackable chair was awarded gold medal at the International arts and crafts fair in Munich. 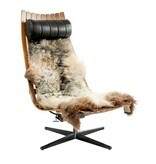 The same year it also received «The Award for Design Excellence» by the Norwegian Design Council. 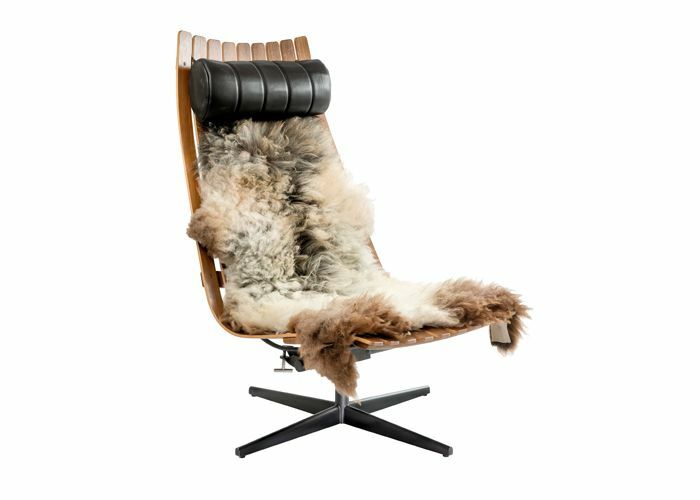 As late as in 2006 the Scandia easy chair received the «Interior innovation award Cologne 2006» and was nominated for the «The Design Award of the Federal Republic of Germany 2007. 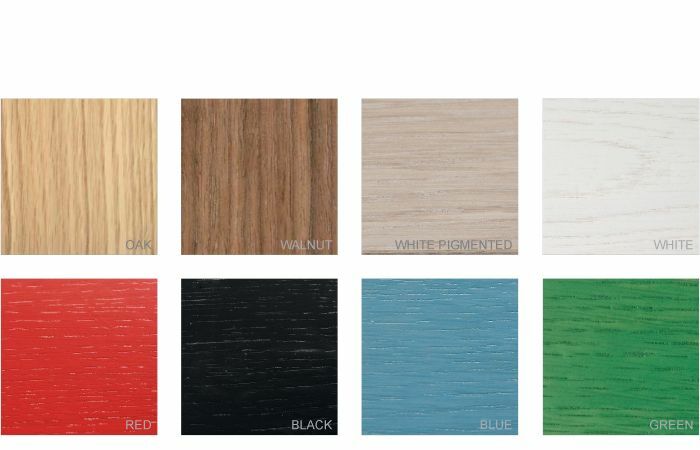 Laminated lacqured wood in american walnut or american oak. 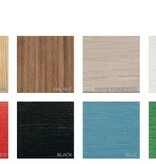 Base in black (RAL 9005). Tilt system that is lockable in the forward-leaning position. 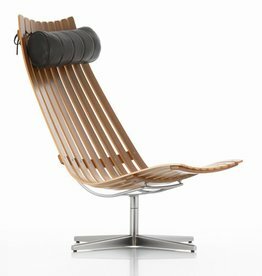 Hans Brattrud (born 1933), the Scandia stackable chair designed in 1957 as a student project at the National College of Art & Design in Oslo. 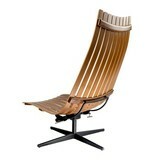 The chair was revolutionary. 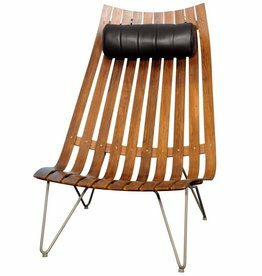 Hans Brattrud (born 1933), the Scandia stackable chair designed in 1957 as a student project at the National College of Art & Design in Oslo. 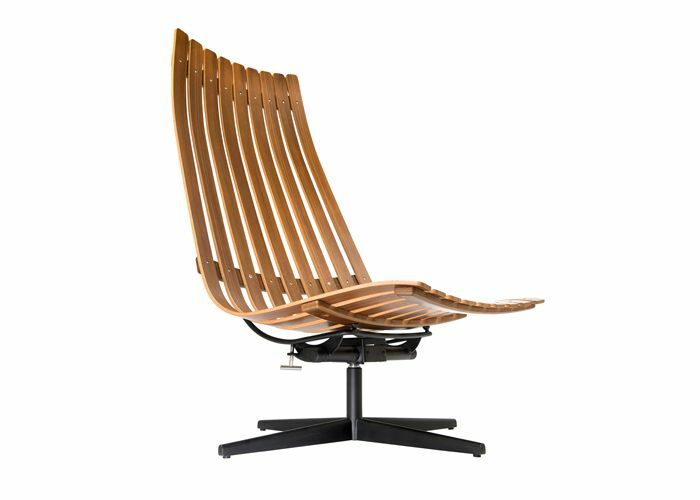 The chair was revolutionary both in form and expression.